Settle in with the latest Chips Watch. It’s been a while since we’ve posted CQS alumni news, and there’s lots to read! Jenny Espino/@jennyespino_RS (Summer 2001) has been promoted to local news editor at the Record Searchlight in Redding, Calif. Previously she was a multimedia journalist. Gregory H. Lee Jr./@gleejr9472 (Summer 1995) is senior managing editor of The Athletic’s Washington, D.C., operation. Previously he was editorial director of nba.com. Kristen Go/@kristenrgo (1996, 1997) is managing editor/news at USA Today, based in the San Francisco Bay Area. Previously she was director of special projects for the investigative reporting program at the University of California Berkeley Graduate School of Journalism. Francisco Vara-Orta/@fvaraorta (Summer 2006) is a national reporter and data specialist at Chalkbeat, helping the nonprofit education news organization to expand its national coverage. Previously he was a data specialist and staff writer for Education Week. He is based in San Antonio, Texas. Diane Lee/@dianeswlee (Spring 2010) is a multimedia producer for the Honolulu Star-Advertiser. Previously she was a digital media manger for Honolulu magazine. Sal Rodriguez/@Sal19 (Summer 2011) is a San Francisco-based reporter for CNBC, covering Facebook and other technology companies. Previously he was a reporter for Reuters. Akeem Glaspie/@THEAkeemGlaspie (Summer 2013) is a sports producer for The Indianapolis Star. Previously he was a sports reporter for The Berkshire Eagle in Pittsfield, Mass. Rocío Hernández/@rociohzz (Summer 2015) is a reporter-producer at KUER, the NPR affiliate in Salt Lake City. “I am beyond excited to start a new adventure and especially grateful to continue growing in a career that I love,” she writes. Previously she was a news associate at The Associated Press in Phoenix. 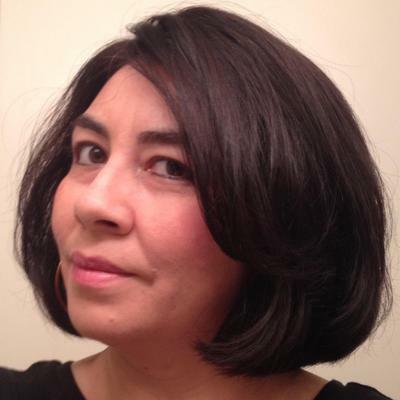 Nereida Moreno/@nereidamorenos (Summer 2015) is a producer for “Morning Shift” on WBEZ/ Chicago Public Radio. Previously she was a metro reporter for the Chicago Tribune, covering immigration and Latino communities. Pablo De La Hoya/@pablodelahoya_ (Summer 2017) is a digital video producer for Youth Radio in Berkeley, Calif. He earned his master’s degree in May from the University of California Berkeley Graduate School of Journalism. 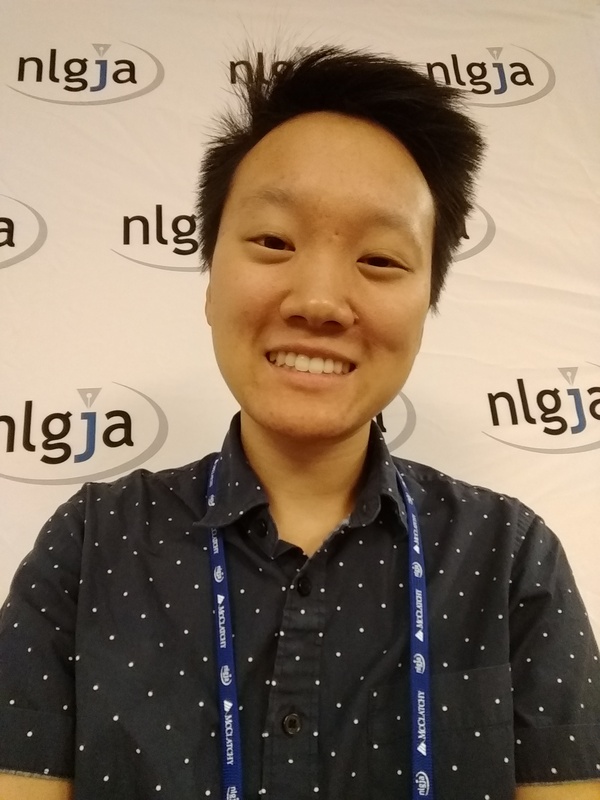 Jenny Ung/@jenny_ung (Summer 2017) is a fact check reporter at The Associated Press in Phoenix. 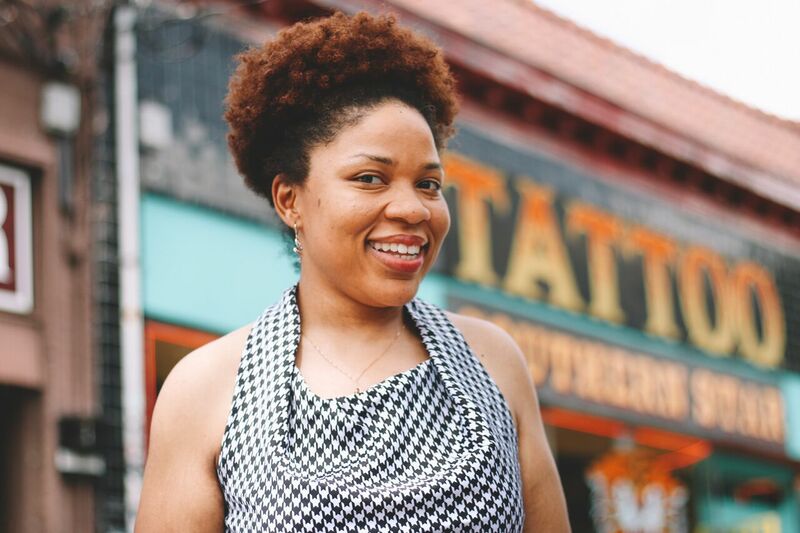 Previously she was an education reporter at the Desert Sun in Palm Springs, Calif.
Asia Burns/@AsiaSimoneB (Summer 2018) is a “Morning Edition” producer for WABE, Atlanta’s NPR affiliate. She graduated from Sanford University in Birmingham, Ala., in May. 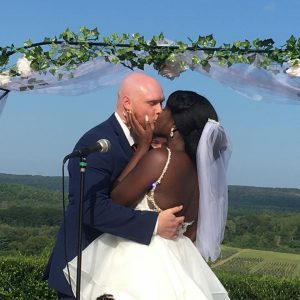 Jayla Jackson/@jaylajacksnews (Summer 2018) is a multimedia reporter for WDVM-TV in Hagerstown, Md. She graduated from Middle Tennessee State University in August. 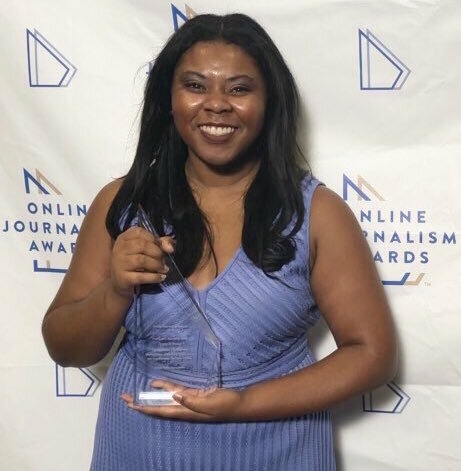 Jadyn Watson-Fisher/@jwatsonfisher (Summer 2018) is a reporter covering the education and city beats for the Times Record in Fort Smith, Ark. She graduated from the University of Oklahoma in May. Jackeline Luna/@jjluna17 (Summer 2017) is video production intern at Politico. She graduated from the University of California Berkeley Graduate School of Journalism in May. Aleanna Siacon/@AleannaSiacon (Summer 2017) was an American Society of Magazine Editors intern at Inc. magazine in New York last summer, in the editorial/web department. She is a senior at Wayne State University. Sara Ernst (Summer 2018) is an intern with NPR’s education desk in Washington, D.C. She graduated from Vanderbilt University in May. Andy Tsubasa Field/@AndyTsubasaF (Summer 2018) is an intern at The Chronicle of Higher Education. He graduated from the University of Oregon in June. Kelsey Mo/@kmo75947 (Summer 2018) is a national politics intern for The Arizona Republic, her CQS paper. She is a junior at Arizona State University. 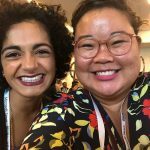 Leezel Tanglao/@leezeltanglao (Summer 2003) has been named a 2018 Next Step Fellow by the Journalism and Women Symposium (JAWS). She’s attending the annual Conference and Mentoring Project this weekend in Welches, Ore., for training, networking and professional development. Tanglao most recently was assistant managing editor of programming for CNNMoney. Anthony Cave/@Anthony_Cave (Spring 2014) is an Audion reporting fellow at KERA, the NPR affiliate in Dallas. Cave is one of 10 reporters selected to spend the next two years at public media sites nationwide, reporting on the role of guns in America. Previously he was a digital journalist at KXTV-ABC10 in Sacramento, Calif.
Hayley Sanchez/@heyyhayhayley (Summer 2016) is a one-year fellow with Colorado Public Radio in Centennial, rotating through assignments that include podcast production, features reporting and digital-online staffing. Previously she was a digital producer at The Arizona Republic in Phoenix. Julieta Martinelli/@ItsJMartinelli (Summer 2017) has been named a 2018 Soros Justice Media Fellow. Based in Atlanta, she is reporting and producing a multimedia series exploring how the incarceration of undocumented immigrants affects the lives of their children. She writes that she is “so excited to focus all my energy on one project, to have the chance (and funding!) 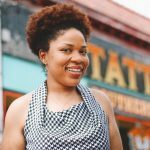 to produce in-depth investigative work on a topic that is so near and dear to my heart.” Martinelli recently completed a one-year fellowship with her CQS internship host, Nashville Public Radio, in Tennessee. 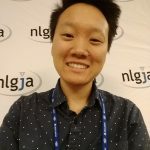 Kristin Lam/@kristinslam (Summer 2018) is a reporting fellow at USA Today Network, based in Los Angeles. Lam graduated from San Jose State University in May. Rick Rojas/@RaR (Summer 2008) is on temporary assignment in Australia for The New York Times as part of the newspaper’s expansion to that continent. 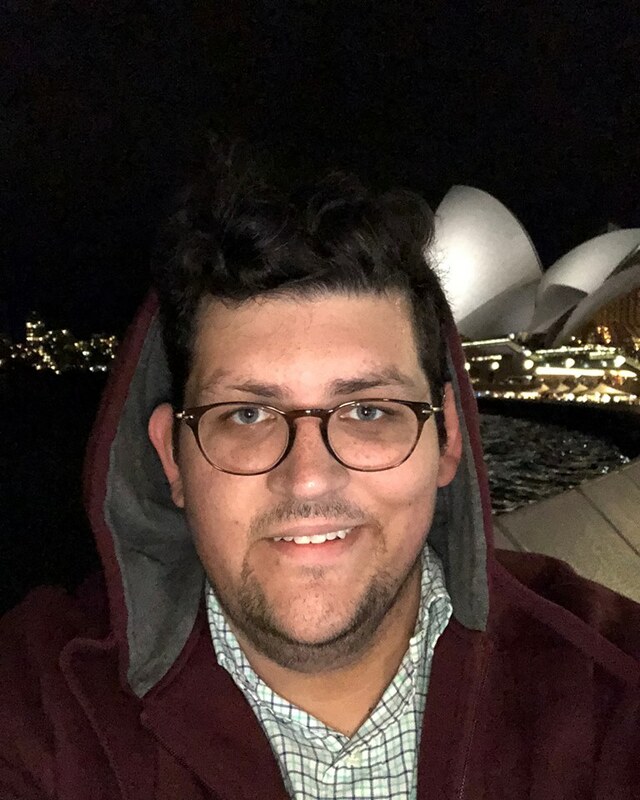 During his residency, Rojas, “a multitalented Metro reporter with an eye for detail,” is reporting on the role of faith and values in Australian public life, according to an internal Times memo. William Camargo/@billythecamera (Summer 2014) participated in the National Association of Latino Arts and Cultures (NALAC) Leadership Institute, a weeklong program in arts management and leadership development, in San Antonio, Texas, in July. Camargo has worked as a visual artist and arts educator in various Chicago neighborhoods. Andrew Ba Tran/@abtran (Spring 2006), a data reporter at The Washington Post, taught an open online course last summer for the Knight Center for Journalism in the Americas to improve data analysis and reporting through a programming language called R.
Marie De Jesús/@MarieDennise (Summer 2010), a photojournalist at the Houston Chronicle, has been elected national secretary of the National Press Photographers Association by the association’s board of directors. She will serve through January 2020. Fatima Bhojani/@bhojanif (Summer 2017), a fellow reporting on labor and the environment for The Center for Public Integrity, moderated a panel discussion on countering violent extremism at a gathering of Young Professionals in Foreign Policy in Washington, D.C., on Sept. 21. Sheila Raghavendran /@sheilarag_ (Summer 2018), a student at Indiana University, participated in the Student Newsroom and Innovation Lab (left photo, at left, with Emma Carew Grovum). 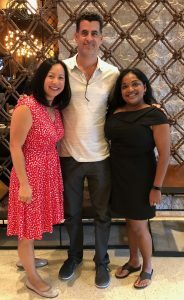 Meena Thiruvengadam/@Meena_Thiru (Summer 2003), a success manager with Parse.ly, was a speaker or panelist at ONA sessions about Facebook, digital journalism, and product design and development (right photo, at right). Rick Jervis/@MrRJervis (Summer 1993) and Kristen Go/@kristenrgo (1996, 1997) attended the conference (both at right, both of USA Today), along with Emma Carew Grovum/@emmacarew (Summer 2009), product manager at The Daily Beast, and Ruthy Muñoz/@ruthymunoz (Summer 2016), a substitute teacher in Pasadena, Calif.
Marissa Evans/@marissaevans (Summer 2012), a reporter for The Texas Tribune, won an ONA journalism award, explanatory category, for her project, “Dangerous Deliveries” (left). 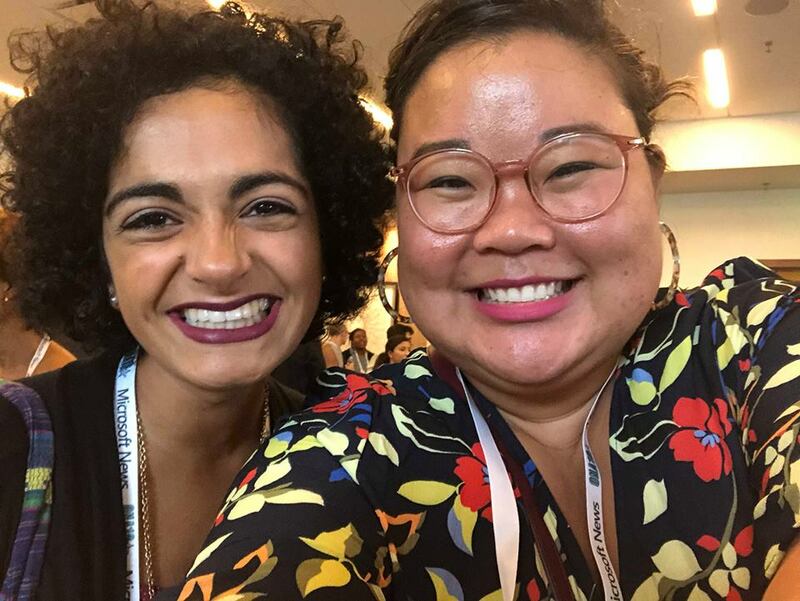 Kristin Lam/@kristinslam (Summer 2018), a reporting fellow at USA Today Network in Los Angeles and a 2018 graduate of San Jose State University (right), was a student journalist whose coverage included a story about the election of NLGJA’s first president of color. Kristen Go/@kristenrgo (1996, 1997), managing editor/news at USA Today, was the recipient of Exceptional Women in Publishing’s President’s Award, presented at the organization’s 2018 conference in San Francisco in September. Astrid Galván/@AstridGalvan (Spring 2008), a reporter at The Associated Press who was interviewed by The Poynter Institute’s David Beard, described how she reported what she called the most popular story of her career: that of a 1-year-old boy who appeared before an immigration judge in Phoenix in June. Joon Lee/@joonlee (Summer 2016), a staff reporter at Bleacher Report’s B/R Mag, was honored Oct. 9 with 45 other up-and-coming publishing professionals as one of Folio:’s Rising Stars in Media for 2018. 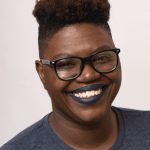 “The Rising Star Honorees are individuals who are making their mark and disrupting the status quo of magazine media, even in the early stages of their careers,” writes Kayleigh Barber in Folio:. 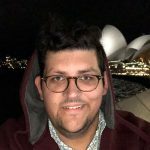 Adam Kealoha Causey/@akcausey (Spring 2006) has had an essay published in “Get Outta Here!,” a podcast and collection of stories from around the world by Associated Press writers and editors. Causey, an AP administrative correspondent based in Oklahoma City, says his printed essay is about a family trip to the Canadian Rockies. James Tensuan/@jtensuan (Summer 2013), a freelance photographer in the San Francisco Bay Area, is earning a master’s degree at the University of California Berkeley Graduate School of Journalism. William Camargo/@billythecamera (Summer 2014) has enrolled in Claremont Graduate University in California and expects to receive his master’s degree in fine arts in 2020. Tameka (Gamill) Winston/@DrTamekaWinston (Summer 1999), professor, interim associate vice president of research and institutional advancement and communications department chair at Tennessee State University in Nashville, has been awarded tenure. Shelley Wong/@shelley_JWGirls (Summer 2003) is assistant women’s basketball coach at Pepperdine University in Malibu, Calif. Previously she trained players for CoachUp, a private basketball training service, and founded So Cal United Basketball in Huntington Beach, a four-team girls travel basketball and high school travel program. Natasha Robinson (Summer 2007) is a part-time navigation specialist with Kalamazoo (Mich.) Adult Education, while continuing to work as a consultant. Previously she worked as a consultant in Raleigh, N.C.
Sarah Welliver/@welliverse (Summer 2007) is a public information officer for the Utah Division of Child and Family Services. Previously she was a photographer for the Standard-Examiner in Ogden, Utah. Elida Perez/@elidasperezEPT (Summer 2008) is a field agent for American Income Life Insurance Co., helping to protect children and working families who are union members. Previously she was a reporter at the El Paso Times, covering the City Council. 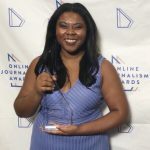 Donovan Harrell/@dono_harrell (Summer 2015) is a reporter with the University of Pittsburgh’s University Times, covering faculty, staff and community news. Previously he was a breaking news reporter in McClatchy’s Washington, D.C., bureau. Ruthy Muñoz/@ruthymunoz (Summer 2016) is a substitute teacher with the Pasadena Independent School District in California. Sierra Brown/@sierraraequel (Summer 2017) is a public relations assistant at Turner Broadcasting System in Burbank, Calif.
Salgu Wissmath/@SalguWissmath (Summer 2018) is a marketing content creator with All Hands and Hearts – Smart Response, in Houston. They graduated in May with a master’s degree in photography from Ohio University School of Visual Communication. 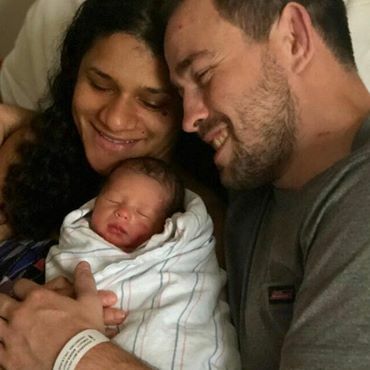 Victoria Edwards/@vrose (Summer 2006) and husband Ryan Cooley welcomed their first child, Tommy, on Sept. 3 in McDonough, Ga. Tommy weighed six pounds, eight ounces. Edwards teaches English at Martha Ellen Stilwell School of the Arts in nearby Jonesboro. 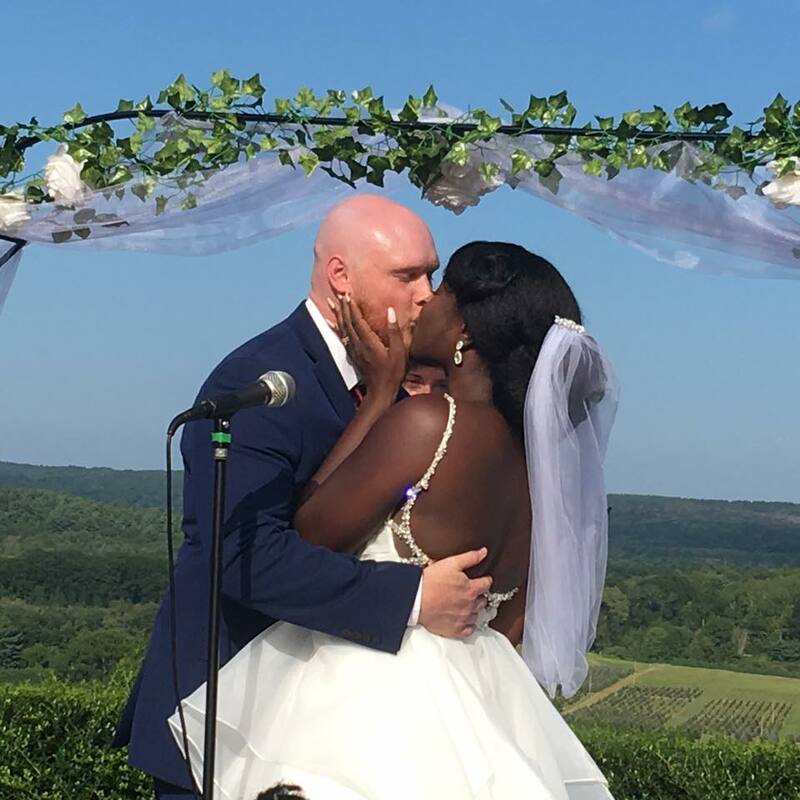 Mercy Quaye/@Mercy_WriteNow (Spring 2014) and Jesse Andrew Snyder were married on Sept. 1 at the Geer Tree Farm in Griswold, Conn. “Everything was DIY and all of our vendors were from marginalized groups, i.e., people of color, women, LBGTQ,” Quaye writes. She is the communications officer for the Office of Cooperative Research at Yale University. Her radio show “Werk It Out” airs on WHNN Community Radio in New Haven, Conn. This entry was posted in Chips Quinn Scholars and tagged Chips Watch by Colleen Fitzpatrick. Bookmark the permalink.